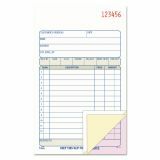 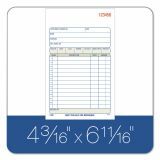 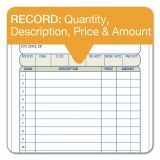 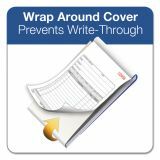 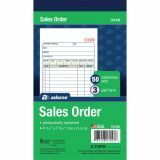 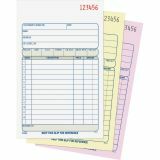 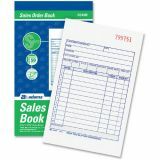 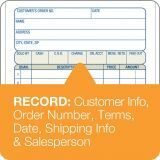 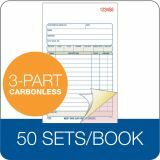 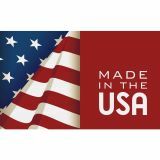 Adams Carbonless Sales Order Book, Three-Part Carbonless, 4-3/16 x 7 3/16, 50 Sheets - Adams Carbonless Sales Book are numbered consecutively and provides three copies of each transaction. 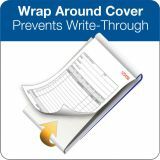 Wraparound cover can be placed between sets. 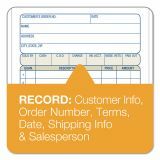 Forms include places to enter the customer order number, date, customer name, customer address, department, seller, payment method. 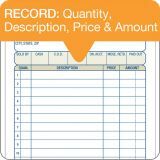 Itemized list has room for 12 items, each with space to enter quantity, description and cost. 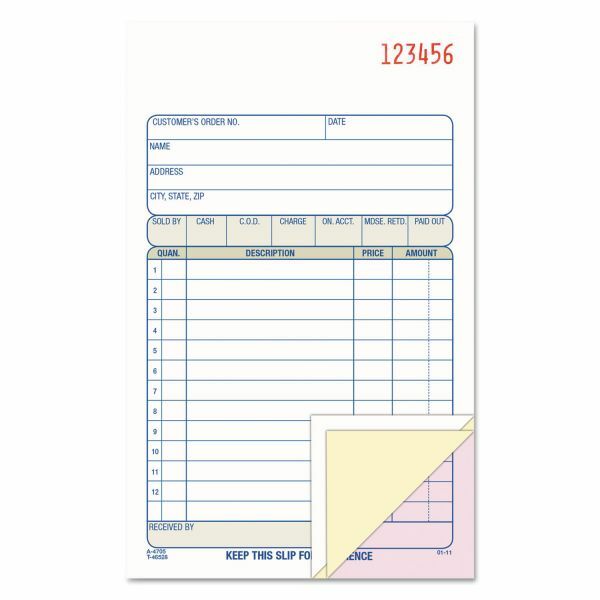 Room at the top of the form can fit a company stamp. 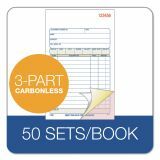 Each book contains 50 sets.